displaying an inexistent position or an incomplete, misleading or inaccurate description. using the site for other purposes than to recruit or be recruited (eg. : disguised commercial advertising). using the information contained in the site for commercial purposes, advertising or to increase the volume of visitors to another site. using the site to conduct or send any study, contests, pyramid schemes or chain letters, e-mail (spamming), making piracy (hacking), or the solicitation to commit anything unlawful or illegal. 100% Satisfaction Guaranteed. If you’re not 100% satisfied with the results from your listing, request a free reposting or a full refund within 30 days after your listing expires. Hotelia Publishing Inc.. (hereinafter "HotellerieJobs.com"), believes it is very important to protect your personal information. HotellerieJobs.com protects and treats your personal information with the utmost respect and in accordance with this policy of privacy. HotellerieJobs.com welcomes you to the site (http://www.HotellerieJobs.com). Use of this site is governed by the terms and conditions set out here. HOTELLERIEJOBS.COM ASKS YOU TO CAREFULLY READ THE TERMS AND CONDITIONS BEFORE VISITING THIS SITE. HotellerieJobs.com may revise and update the terms and conditions at any time. HotellerieJobs.com asks you to visit this page occasionally to get aware of the terms and conditions updated over the terms and conditions to which you were linked. If you do not agree to the terms and conditions of use, please do not visit the site. This policy explains how your personal information may be collected, used or disclosed following your activities on the Site. By accessing the site, reading its contents and using it you agree, on your own behalf and on behalf of any other entity that you represent, to comply with the conditions. When communicating with HotellerieJobs.com to obtain services or information, HotellerieJobs.com collects personal information like your name, address, phone number and email address. Personal information collected will be used solely in accordance with this agreement. In the case of an exception to this rule, we will ask for your consent. HotellerieJobs.com will disclose your personal information, without notice, if required by law or if in belief that such action is necessary to: (a) comply with any legal proceedings against HotellerieJobs.com or the site; (b) protect and defend the rights or property of Éditions Hotelia Inc. and its family of websites or (c) act in urgent circumstances to protect the personal safety of HotellerieJobs.com visitors, its sites or the public. HotellerieJobs.com will never shares personal information about you to anyone, except under your agreement or under the order of a competent court or any legal obligation. In the case of such disclosure, it will respect the laws on the protection of privacy. It is possible that partners HotellerieJobs.com require the ability to send mailings to their customers for information that may interest them. For this purpose, the confidentiality of such information is governed with the same rigor as data compiled about Internet users and subscribers who visit us. During a visit on the HotellerieJobs.com website, servers log your IP address. Registering your IP address is used only for site administration and to track your visit. Knowing your IP address will not be used to associate yourself with other information to identify you. Personal information collected by HotellerieJobs.com from subscribers is not sold to third parties. 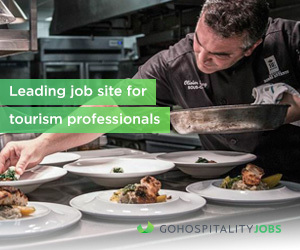 However, HotellerieJobs.com reserves the right to use its mailing list to promote its products and services and those of its partners who wish to target consumers interested in the world of hotels, catering and tourism in Quebec and this, for the sole purpose of maintaining free access to information on HotellerieJobs.com. HotellerieJobs.com also reserves the right to contact a subscriber regarding their account or any other subject related to their relationship with HotellerieJobs.com. HotellerieJobs.com may undertake studies and statistic analysis on type of users on HotellerieJobs.com and to inform advertisers, as well as the number of pages to which visitors were exposed and number of clicks on their ad banner and job offer. By communicating with us, you can have access to your personal information. Under your request, HotellerieJobs.com shall promptly correct, amend or delete your personal information. At any time, HotellerieJobs.com reserves the right to make changes, additions or deletions to the site and even limit some or all access and / or use of the site without any notice. As an Advertiser, you remain the holder of intellectual property for the content of the ad you submit to our service. However, you grant to HotellerieJobs.com a license to use this material for distribution and promotion. This license is granted by the act of submitting your content to our services and is offered free of charge, non-exclusive and for the duration of the announcement. The maximum liability of HotellerieJobs.com cannot exceed the cost the Advertiser pays for services. In the event of a legal proceeding against HotellerieJobs.com following a violation of this section by you or any user, you hereby agree to take up the cause for HotellerieJobs.com. These rules and conditions are governed by the laws applicable in the province of Quebec. Any dispute arising from the use of this website is subject to the jurisdiction of the courts of the District of Quebec City, Quebec. HotellerieJobs.com’s name and logo are trademarks of Éditions Hotelia Inc. and these can be used by written permission of Éditions Hotelia Inc.. All logos, trademarks and trade names displayed on this site are the property of Advertisers. Except as expressly specified in the terms and legal restrictions, nothing which is contained in this Agreement shall be construed as conferring by implication or otherwise any license or right whatsoever. This section does not confer any right to use the intellectual property of Éditions Hotelia Inc. or that of third parties that may be contained therein. Copyright © 2007 HotellerieJobs.com. All rights reserved. All content on this site is the property of HotellerieJobs.com. Accordance with the Act on copyright, any reproduction, adaptation or translation without written permission is prohibited HotellerieJobs.com. use isn’t made for any commercial purpose. By purchasing a job posting, the Advertiser may display in its offer only one job and not many jobs. In case of non compliance with this condition, the Advertiser authorizes HotellerieJobs.com to create one or more new jobs and bill each additional job offer or to withdraw the exceeding job offers. In order to maximize the visibility of job offers, HotellerieJobs.com reserves the right to distribute and advertise job offers on other paid or free websites, social media, digital media or other media. HotellerieJobs.com reserves the right to reject any Advertiser and / or job offer that does not correspond to the philosophy or mission of HotellerieJobs.com. HotellerieJobs.com reserves the right, without notice and for any reason, to modify, correct, add, remove and / or delete data on any Advertiser and / or job offer is displayed on HotellerieJobs.com. HotellerieJobs.com has implemented security measures at the cutting edge of technology to protect you against loss or unauthorized use of your information. HotellerieJobs.com has taken steps to ensure the security of your personal information and ensures that your choices for its intended use are honored. HotellerieJobs.com takes strong precautions to protect your data from loss, misuse, unauthorized access or disclosure, alteration or destruction. HotellerieJobs.com’s servers are protected by a firewall. HotellerieJobs.com agrees that its equipment is always on the cutting edge of technology so you can at any time securely send information through our site. We encourage you to keep your browser updated to continually benefit from new technologies in security. HotellerieJobs.com strictly protects the security of your personal information and honors your choices for the use that can be made. However, no security mechanism is perfect and you should be aware that there is always some level of risk that personal information you transmit over the Internet to be disclosed, used or stolen without fault on the part of HotellerieJobs.com and without your consent. HotellerieJobs.com disclaims any liability with regard to the fact that such confidential information can be disclosed without your consent, except in cases of negligence on the part of HotellerieJobs.com and HotellerieJobs.com and disclaims any liability or damages resulting from a situation beyond its control. It should be noted that for your safety, the information submitted is kept only on servers that use HotellerieJobs.com. If the confidentiality and the use of information transmitted via the Internet is a concern, HotellerieJobs.com invites you to submit your request by phone and speak to a representative of HotellerieJobs.com by calling 1.855.594.5627 or by email to info@hotelleriejobs.com. HotellerieJobs.com does everything it can to provide information and documents accurate and complete on this website but assumes no liability for the accuracy and update such information or documents. HotellerieJobs.com may change the content of any information or materials available on this website or services described in these documents at any time without any warning. HotellerieJobs.com’s website may not be current and HotellerieJobs.com makes no commitment to update the information or materials on this site. HotellerieJobs.com cannot guarantee that this site will be without interruption or technical problem or that it will remain online. HotellerieJobs.com is only a means of communication and dissemination. The Advertiser is solely responsible for the content of his ads. In this regard, Éditions Hotelia Inc. has no control and can not guarantee the accuracy, reliability, veracity of the information contained on HotellerieJobs.com. Accordingly, Éditions Hotelia Inc.. is not responsible for the content, truthfulness, existence, nature, quality, legality, security and compliance of the ads. Information and opinions contained in advertisements are not those of HotellerieJobs.com. Neither HotellerieJobs.com nor any of its officers, directors, employees, agents, affiliates or distributors may be liable for any damages (including actual, direct, indirect, consequential, incidental, consequential, or punitive damages), liability, claim, or other incident or issue arising from information posted on HotellerieJobs.com. HotellerieJobs.com reserves the right to revise the terms and / or legal restrictions at any time. You are responsible for revisiting this page occasionally to ensure compliance with the terms and legal restrictions to date. Some terms and legal restrictions may be superseded by expressly designated legal notices or terms located on particular pages at this website. On this job portal, the terms used to designate persons are taken in the generic sense, they both value of a female and a male. We support the principle of equal employment opportunity and we encourage people from target groups to apply. The conditions of this site may be changed at any time and without notice. Should any change, HotellerieJobs.com undertakes to do everything in its power to publish the changes on this page. Any change will take effect upon its publication on the site. HotellerieJobs.com may at its sole discretion, terminate or suspend your access to all or part of the website including any bulletin boards, for any reason, including violation of this agreement. Upon termination of the use, restrictions regarding materials appearing on the site and the representations and warranties, indemnification, and limitation of liability set out in this agreement shall survive any such termination. This Agreement will be governed by and construed under the laws of the Province of Quebec. The Quebec courts shall have exclusive jurisdiction to hear any dispute arising out of or relating to this agreement. Each party agrees to the jurisdiction and venue of such courts. Please contact HotellerieJobs.com for information on policy.